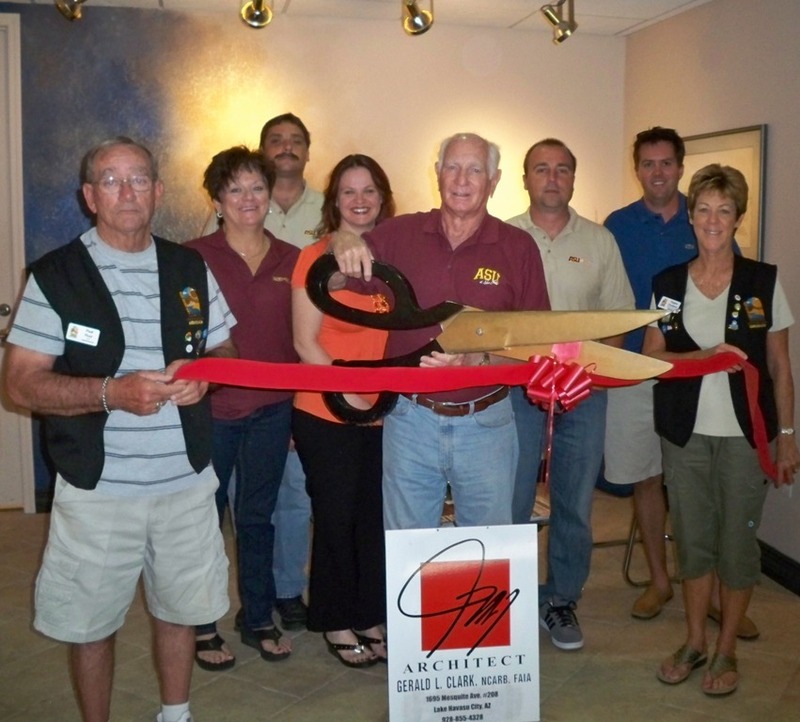 The Lake Havasu Area Chamber Ambassadors held a ribbon cutting ceremony for Gerald L. Clark, Architect. Gerald celebrated 15 years with the Chamber of Commerce this year. On hand for the ribbon cutting from left to right: Paul Hoyt, Margaret Palmer, Derald Miester, Kimberly Easter, Gerald Clark, Rodney Fritze, Mychal Gorden, and Virginia Chambers. Gerald Clark Architect’s office is located at 1695 Mesquite Ave., #208 in the Bella Plaza. For more information contact 855-4328.